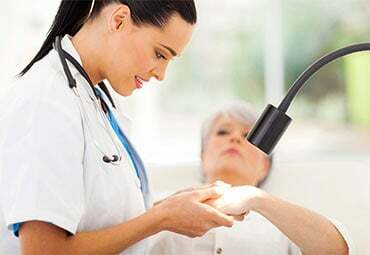 Dermatology is the medical specialty that takes care of your skin, hair and nails. Your dermatologist in Brooklyn provides a number of treatments for a full range of skin disorders. 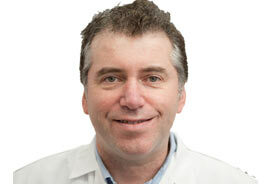 Come into Century Medical and Dental for a Brooklyn dermatologist trained to take care of your entire family. And the best dermatologist in Brooklyn is ready to watch over your skin as part of your ongoing health. Note: Brooklyn dermatologists at Century Medical and Dental Center located in Downtown Brooklyn, Flatbush or Gravesend locations are accepting all major insurance plans including Medicare and Medicaid. A dermatologist diagnoses and treats your skin, hair and nails. As the largest and most visible organ of your body, your skin is the barrier that protects your body from outside elements. Along with your hair and nails, your skin is exposed to many toxins and environmental attacks. As a result, this barrier is subject to many possible abnormalities and disorders. Your Brooklyn dermatologist works to protect your skin while providing cosmetic procedures for eliminating your skin concerns. One of the key areas in a dermatologist’s training is the diagnosis and treatment of skin cancers. While many other disorders are possible, the predominance and potential seriousness of skin cancer means that you should rely on the best dermatologist in Brooklyn for the health of your entire family. As with any specialty, the best dermatologist in Brooklyn looks for dermatology trends that are making the greatest strides to help prevent, maintain and restore some of your most youthful qualities. The best option for your healthiest skin, however, involves a good prevention program. Prevention begins in childhood, but can and should be practiced throughout your life for the best results. Taking care of both your insides and your skin increases the chances of staying healthy, protected and strong as you move into each progressive stage of your life. Your dermatologist in Brooklyn helps you maintain the healthiest skin possible. Century Medical & Dental Center is a multidisciplinary medical centers and a team of highly qualified doctors, nurses and support staff makes every effort to provide medical services at the highest level. Disclaimer: The information throughout this medical website is not intended to be taken as medical advice. The information provided by Century Medical and Dental Center is intended to provide general information regarding our multi-specialty clinic in Brooklyn and primary care doctors working in Gravesend / Sheepshead Bay, Flatbush Ave and Downtown Brooklyn locations. If you are interested in finding out more, please contact our general practitioners in Brooklyn for a personal consultation. Avoid worrisome self-diagnosis, our internal medicine doctors properly diagnose your problem and refer you to the specialist if necessary.